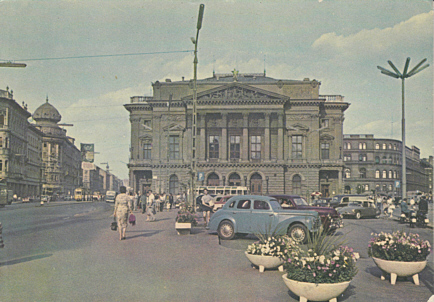 Other names: "Volkstheater", "Ideiglenes Nemzeti-színház", "Prov. Nationaltheater", "Vigopera"
Built 1874-1875 as a privat theatre for the "Volkstheater AG" by Ferdinand Fellner & Hermann Helmer. 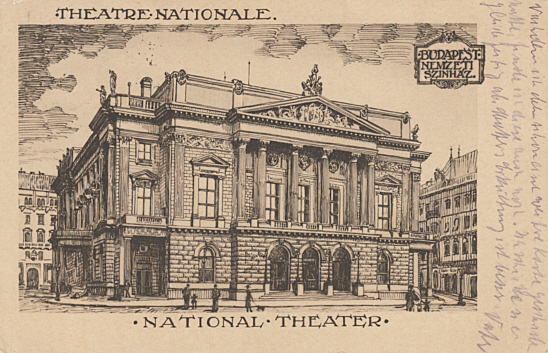 Opened 15 October 1875 in presence of emperor Franz Josef I. with C. Huber's operetta "Kuß des Königs", an allegoric scene, a Hungarian folk drama by Josef Erdékji (music by Julius Erkel), and Vidra Sizka's farce "Jeremiàs siralmai". 2400 seats. 1908-1964 home to the "Nemzeti Színház" drama company. Demolished on 23 Apr 1965 during the construction of an underground train system. 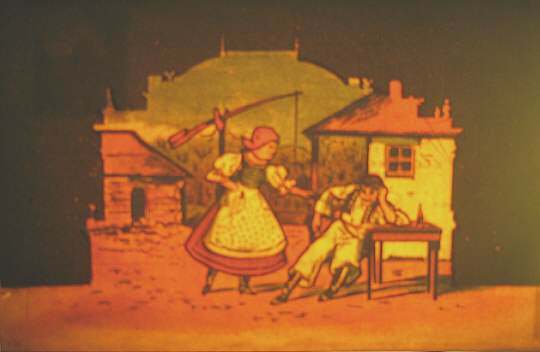 Front Text: "Üdvözlet Budapeströl! Gruss aus Budapest! ", "Nepszínház. Volkstheater." Front Text: "Budapest - Ideiglenes Nemzeti-színház - Prov. 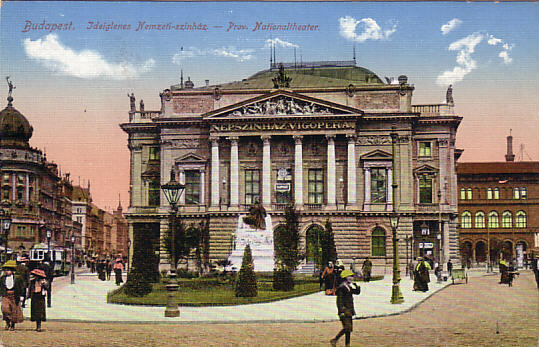 National Theater"; inscription: "Nepszínház - Vigopera"
Front Text: "Budapest - Kerepesi-ul. 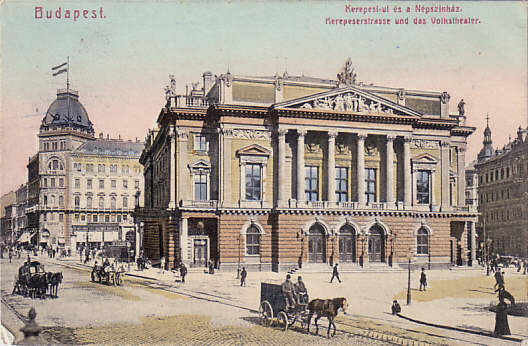 és a Nepszínház - Kerepeserstrasse und das Volkstheater"
Front Text: "Budapest - Népszínház. - Volkstheater. 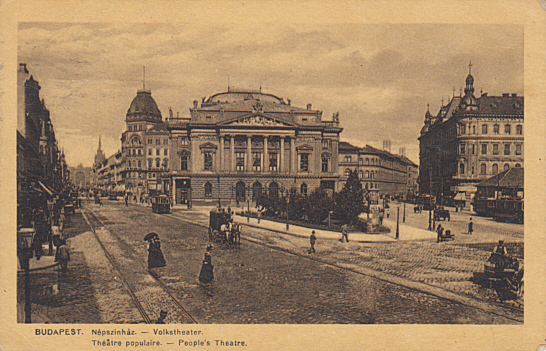 Théâtre populaire - People's Theatre"
Front Text: "Budapest Nemzeti Szinhaz", "Theatre Nationale", "National Theater"
Reverse Text: "Budapest. Nemzeti Színház. Metro épitése miatt lebontásra került 1965-ben; Nationaltheater. Abgerissen im Jahre 1965; National Theatre. Pulled down in the Year 1965." 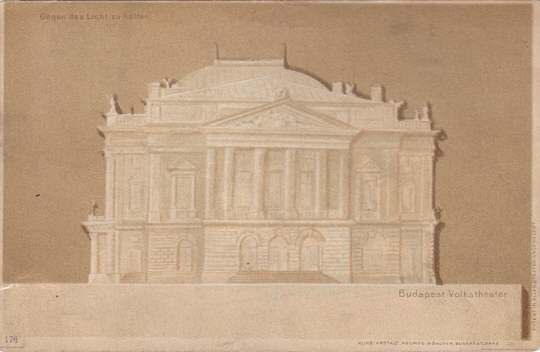 Publisher: Képzőművészeti Alap Kiadóvallata, Budapest; I.3359/653. 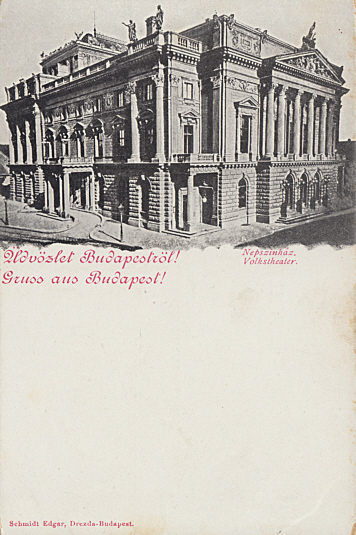 For another postcard of this theatre, see Budapest: Cards showing various theatres.